Lozenge Camouflage off a Trophy War Bird! 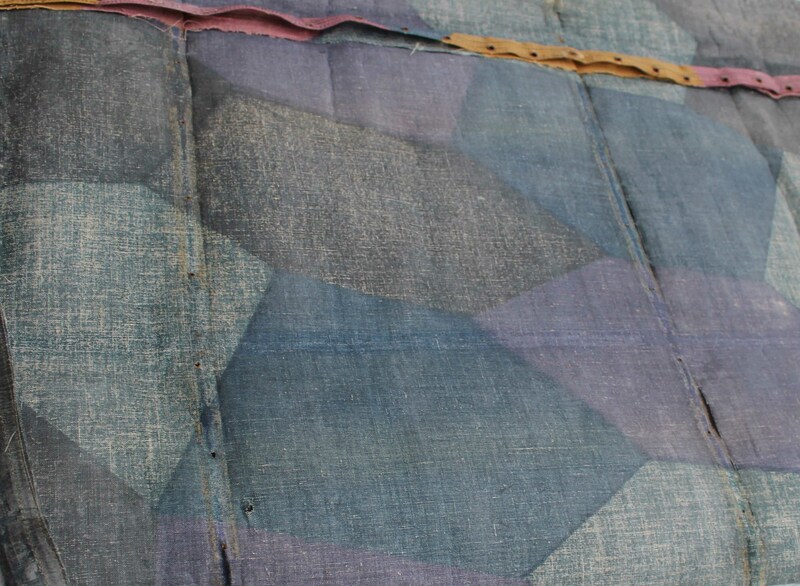 Recently, I took some photos of original First World War German lozenge camouflage, the original fabric “skin” of a war trophy plane I have already featured on this site. Hopefully, the photographs will help a friend complete an impressive scale model of the CASM’s German AEG bomber. The original “night lozenge” pattern fabric has been preserved by the staff of the Canada Aviation and Space Museum at a nearby facility. 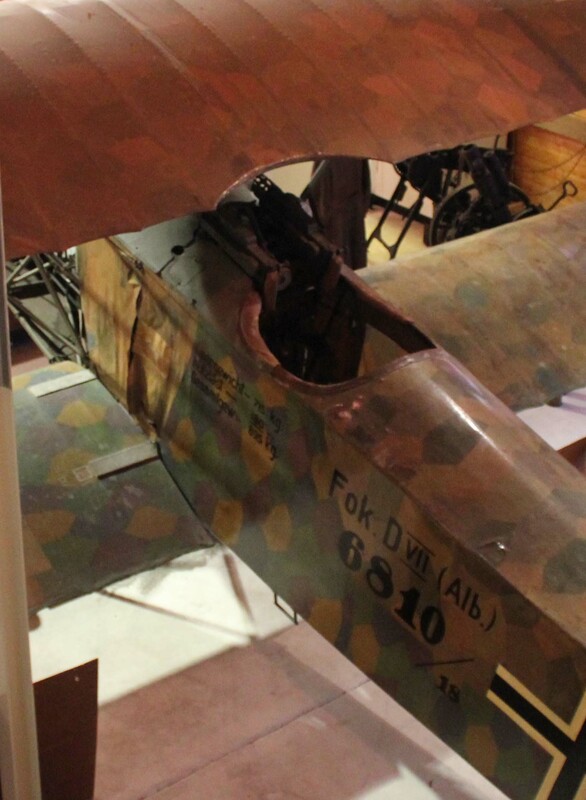 In contrast, below is an elevated view of the original Fokker DVII fighter in the Brome County Historical Society’s museum in Knowlton, Quebec (more about this unique aircraft here). The pastel-like day lozenge camouflage on this aircraft is so significant to understanding First World War German aircraft colours, that today, this 4-colour pattern is known as “Knowlton lozenge.” I don’t pretend to be a specialist in aircraft, but I do know that the trophy aircraft, like the captured artillery, today reveal the strength of First World War artifacts in Canada. Author’s photo. Canada Aviation and Space Museum, Ottawa, AEG GIV bomber no. 574/18. The AEG G IV bomber was a twin-engine German biplane medium bomber. An improvement on earlier AEG G types, It entered service in late 1916 and served, mostly as a tactical and night bomber, for the rest of the war. The aircraft could carry almost 900 lbs. of bombs and had two parabellum machine gun positions for self-defence, with the rear-gunner able to crouch and also fire downward through a trap-door to defend against threats from below. Like the Junkers, it made revolutionary use of an all-metal skeleton. Today, the AEG in the Canada Aviation and Space Museum’s collection is the only intact twin-engine German First World War bomber in existence. Aircraft no. 574/18 was brought back as a war trophy, and early war trophies exhibit photos show that it did not have engines, and propellers were simply hung in about the right spot with nothing behind them! Since I already was featuring two 1920s era photos of this aircraft in various states, and also found an official photo of a similar type, outside of the Namur zeppelin sheds after the Armistice, including this was a must! In the interwar era it can be seen in pieces along the side wall of the Public Archives’ War Trophies Annex. Eventually, less powerful engines were acquired to fill the voids. This aircraft also is the only survivor showing the distinctive night-lozenge camouflage paint scheme. AEG German medium bomber outside of Namur, Belgium Zeppelin shed, Nov. 1918 (Australian War Memorial image number H06932, a print of Canadian War Records Office Official photo O-3698. War trophies were not all captured artillery. Quite a few German aircraft came to Canada: Several Fokker DVII fighters, an AEG bomber and this unusual and pioneering plane: the Junkers J1 armoured aircraft. Nicknamed the “flying tank,” this was a slow, low flying observation and ground attack aircraft with an armoured section (like an enormous tub with 5mm thick armour around the crew and engine), the basic structure of the airframe was early aluminum tubing (“duraluminium”), with corrugated aluminum sheets covering the wings and tail surfaces. This would influence later aircraft, and was quite the departure from the fabric-over-wood bracing on other aircraft. The J1 was armed with machine guns and bombs. Only a little over 220 of these were produced. The best photos of this aircraft, models of it showing the paint schemes, and parts of other J1s can be found at Wingnuts model-making site. Today, Junkers 586, produced in 1918, is the World’s only reasonably complete example. This J1 was exhibited at some of the War Trophies displays (see War Trophies exhibits for a relevant photo from Hamilton), the Canadian National Exhibition in Toronto in 1919, then in 1939 it was transferred from CFB Borden to the Aeronautical museum at the Rockcliffe Air Station, then on to storage at the Canadian War Museum. When air-related collections were consolidated in the 1960s, it moved to the Aviation Museum (Now Canada Aviation and Space Museum). Photos show it in various conditions. For an upcoming FWW-themed centenary exhibit at the CASM museum, it is rumoured that it will be out on display again in the main museum.The aircraft in the official photos from November 1918 could be this same aircraft. The guard near the aircraft would seem to indicate that military authorities had some purpose in mind for this. The two Canadian War Records Office official photographs show a J1 near an enormous zeppelin shed (probably one of the sheds at Cognelée, near Namur, Belgium). Note the original camouflage evident on the wings.